Shape Pientje, originally uploaded by iki ikarus. Shape Lotte, originally uploaded by iki ikarus. Three is my lucky number ;-), originally uploaded by iki ikarus. The past months I worked at new faces, just because I love doing it. Once the skins will be finished I will release these at Marketplace, since I do not have an inworld store anymore. When they will be released is something I cannot say yet, because I still need to work at their bodies. The body is more photosourced than my former skins, but still not overly highlighted and shaded. I hope you will like the totally new faces and body build from scratch. Oh, it feels good to be back! ESMEE fair bare, originally uploaded by iki ikarus. My mainstore has been closed since January 1st 2013, but Esmee is again (and ONLY) available at Marketplace. I had some requests the past week if I was willing to sell older items directly from inventory. Some missed the sale or were to late to come to the store before it closed. If you like to buy older work, you can still contact me inworld by sending me an IM or NoteCard with your requests or send me an e-mail at iki@dutch-touch.com. It was six years ago a friend of mine Willow bought his first land called Willow Island and he offered me some space to set up a store there. Iki's Dutch Touch started at Willow Island in January 2007. Only a few months later I was able to buy a piece of land at another new region of Willow, called Willow Beach, later also known as the region DUTCH TOUCH. Earlier this week I deleted all my belongings from the land and saw my beloved DUTCH TOUCH mainstore I builded (and rebuilded it over and over again) go up in thin air. It was a kind of weird experience. Anyhow, the land is gone, but I will put up some of my most recent female skin-work as 'Esmee' at Marketplace soon. Well,... maybe I'll find time to finally release 'Pientje' there as well. I wish 2013 will bring us all love, piece, happiness and a good health! DUTCH TOUCH Is Closing Doors. Finally the time has come. The region DUTCH TOUCH will be going offline on NewYearsday 2013. If you want to buy something from the store, it is possible until the 31th of December 2012. My avatar will initially remain. Thank you all for the good years I had at SecondLife, I wish you all the best! ::pUK:: VIPsONLY, originally uploaded by iki ikarus. 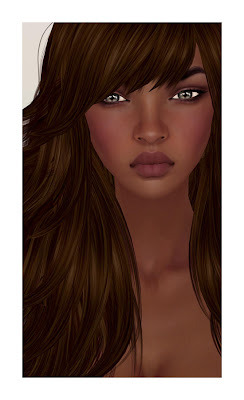 Later today I will release the skinline of ::eSmEE:: in 4 skintones: Fair, Peach, Tanned and DarkOlive. Due to certain circumstances the ebony skintone of ::eSmEE:: will be first available next week and i will release this tone together with a VIPsExclusive femaleskin called pUK. ::upcoming:: eSmEE, originally uploaded by iki ikarus. If you like to stay informed about the new skinline, please do subscribe this set at Flickr. Pientje, originally uploaded by iki ikarus. Old habits die hard, what should I do?